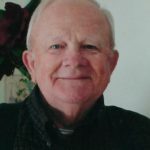 Jerry Randolph Hunt, 84, passed away Saturday, March 30, 2019. He was a lifelong peninsula resident, and spent many of those years serving in his community. Jerry graduated from Poquoson High School in 1952. He began his career with the C&P Telephone Company in 1953. 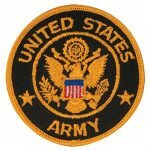 He joined the U.S. Army in 1957 and served for two years. After his military service, he returned to the phone company, retiring in 1984. Jerry was a member of St. Luke’s United Methodist Church in Yorktown, he participated in the York Lions Club, and he coached Grafton Pee Wee football. Jerry was a member of the York County School Board representing his district for a number years. In his spare time, Jerry was a Ham radio enthusiast, making connections around the world. Jerry also enjoyed hunting and fishing, serving as a past President and Honorary member of the Pinewood Hunt Club in Williamsburg. Jerry was preceded in death by mother Melvin and father Harry Hunt of Poquoson. Jerry is survived by Katherine Hunt, his wife of 63 years. He leaves his son Steven Ray Hunt (Angie), son Allen Randolph Hunt (Marci), a granddaughter, Morgan Nicole Hunt, and two great-grandchildren, Austin and Karleigh Hunt. A graveside service will be held on Thursday, April 4, 2019, at 1:00pm at Peninsula Memorial Park. Arrangements are being handled by Amory Funeral Home, Grafton.